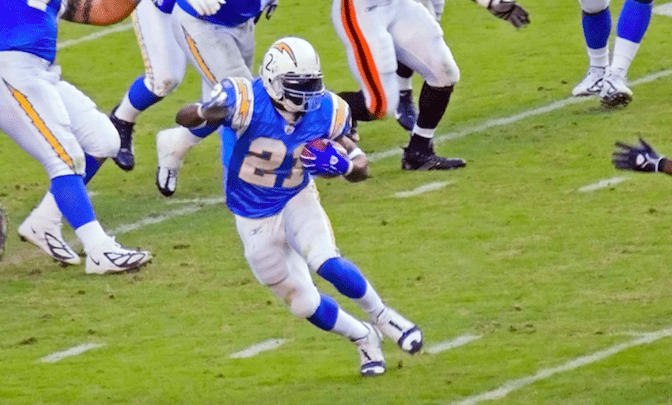 On Saturday Night, LaDainian Tomlinson delivered one of the most inspiring speeches you’ll ever here, as he was inducted into the Pro Football Hall of Fame. The NFL’s single-season record holder for touchdowns and the 5th leading rusher in history, stood on stage in Canton, Ohio and shared for 26 minutes. Tomlinson spoke of his creator, and how important his relationship is with the Lord. “The principle reason I’m standing here, is God, who gave me my ability, my purpose,” said Tomlinson. “Since I was a child, I’ve had a very personal relationship with God. L.T. said that knowing where his athletic gifts came from when he was younger, was what drove him and helped him achieve success as a football player. But the speech wasn’t done there. Tomlinson opened up many eyes at the end of his speech, by pleading for America to come together.